Pharmaceuticals and other man-made contaminants are forcing fish that live downstream from a typical sewage treatment plant to work at least 30 per cent harder just to survive, McMaster researchers have found. The effort to decontaminate their bodies from pollutants that persist even after water treatment makes fish vulnerable by forcing them to burn energy that would typically go toward other vital functions. "That's a difference in metabolic rate that we would have if we started walking several extra hours a day. It's a pretty big increase in metabolism," says Graham Scott, senior author of a new paper published today in the journal Environmental Science and Technology. "That's a lot of resources." Metabolism increases with activity, sickness or stress. By using valuable metabolic resources to decontaminate its own body, a fish has less energy for movement, evading predators, catching prey, and reproduction. The effort puts populations at risk, highlighting the unseen impacts of pollution, Scott says. "A lot of studies of environmental pollution are looking major impacts that cause animals to die. We were really concerned about those impacts of pollution that are not as obvious, but still very significant," says Scott, an assistant professor of biology at McMaster University who worked with six colleagues, including animal behavior specialist Sigal Balshine and lead author Sherry Du, a graduate student in biology. "Metabolism is a lens into the inner workings of the animal, and its health and fitness." The findings suggest that new water-treatment technology is required to protect populations from modern threats. The researchers took wild sunfish from an unpolluted local source and submerged cages of them at different points downstream from the Dundas Wastewater Treatment Plant near the McMaster campus for three weeks in the summer of 2016. Using laboratory analyses, the researchers compared the metabolism of the wastewater-exposed subjects to that of fish they had placed in an unpolluted pond in the headwaters of the same watershed. The wastewater treatment plant functions well, the researchers say, but it is not made to capture modern pollutants such as birth-control medication, anti-depressants and beta blockers, and while upgrades are planned, the new technology still won't be able to clear all of the modern contaminants. 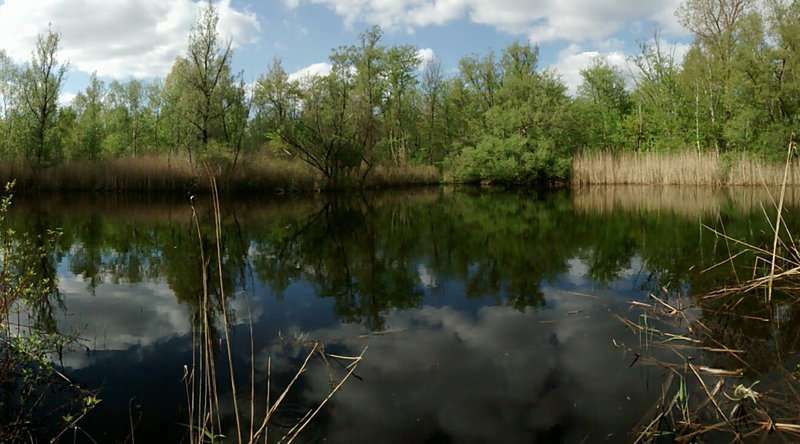 Cootes Paradise, the marsh that forms the extreme west end of Lake Ontario, is a good location for such research, Scott explains, because it is a contained environment. What happens to fish living in treated sewage outflow is likely similar in other locations with similar plants, he says. Balshine was the senior author of a related study that recently showed the behaviour of fish living in treated wastewater outflow was also measurably different. Taken together, Scott says, the studies of metabolism and behavior reinforce the idea that invisible pollution from emerging new contaminants is having a serious impact on populations downstream from sewage treatment plants - a problem that should be addressed. Contaminants are also behind the poisoning of life on the land. Intersex people, LD children which are mentally retarded as science has known for 20 years. We allow corporates excesses and then wonder why life is so much harder.